Content Marketing Strategies Assisting Biz Owners & Independent Pros Build Following+Expand Platform+AudienceReach! Hello! 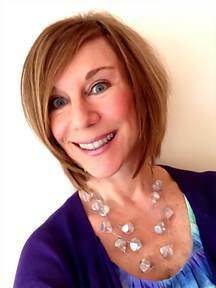 I’m Becky Cortino, an IndieCreative Adviser providing: Content Marketing Strategies assisting Business Owners and Independent Professionals build their following, expand their platform and audience reach. integrated through unique New, Social & Traditional Media Strategies, utilizing the most up-to-date tools and techniques via Express-It Media Fusion. >>> As a published author of 5 physical books, a growing collection of eBooks on varied topics, multimedia programs, and an expanding series of Savvy DIY Marketing Guides for Biz Owners + Independent Professionals. I collaborated on 2 books to benefit national nonprofit efforts: What’s Right in Healthcare, collaborative book for those in the frontlines of healthcare, and Herb Society of America’s Essential Guide to Growing and Cooking with Herbs, to benefit the National Herb Garden (now in 3rd reprint). >>>Since 1999, I've created, developed and designed websites, creating content ongoing -- 'blogging' before there were blogs! >>>As a Published Writer, I write to present helpful information and experience-based insights to business owners and independent professionals seeking investigative, interpretative problem-solving ideas and solutions. >>>Selected as one of 50 top bloggers worldwide, I was invited to review and participate in the launch of a new book by Michael Stelzner “Launch,” founder of SocialMediaExaminer, a top-20 business blog on the web with (now) over 180,000+ readers. >>>As a Professional Writer enjoying being published for many years, in addition to creating books and eBooks since 1999, I offer my expertise to help aspiring authors get book projects written, published and leverage their books as a platform-building strategy, while creating an additional income stream. >>>I’m a Media Maker, with professional experience in all forms of media: New, Social and Traditional. Since 2008, I actively host internet radio talk shows. I developed and produced Biz Buzz in 2009, designed for savvy business owners and independent professionals, broadcast in collaboration with Red River Writers, as one of the featured programs on that station. In 2011, I launched Biz Buzz as an indie production, fortunate to interview some very well-known personalities, to benefit Biz Buzz listeners in the business community. My background includes: creative marketing and communications consulting, project management, special events, promotions, copywriting, digital marketing, professional media experience in all media, media relations specialist, advertising and marketing/PR agency account management and creative work, public speaking and training. My passion is assisting Business Owners and Independent Professionals in building their following, expanding their platform and audience reach, so they can help more people and grow their business. Through my first-hand experience, I understand the concerns and needs of business owners and professionals. With extensive experience in both the public and private sectors, I bring solid expertise to the table, resulting in personalized advice and congruent insight for my audience.